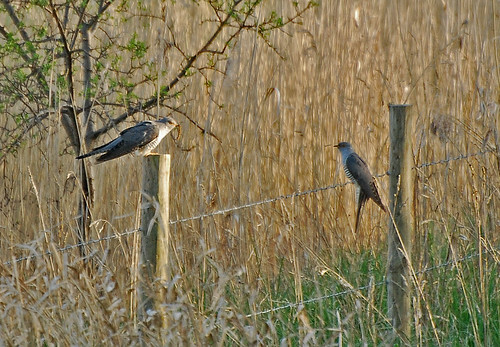 I don’t recall having seen a cuckoo before, even though I’ve heard their unique call many times. 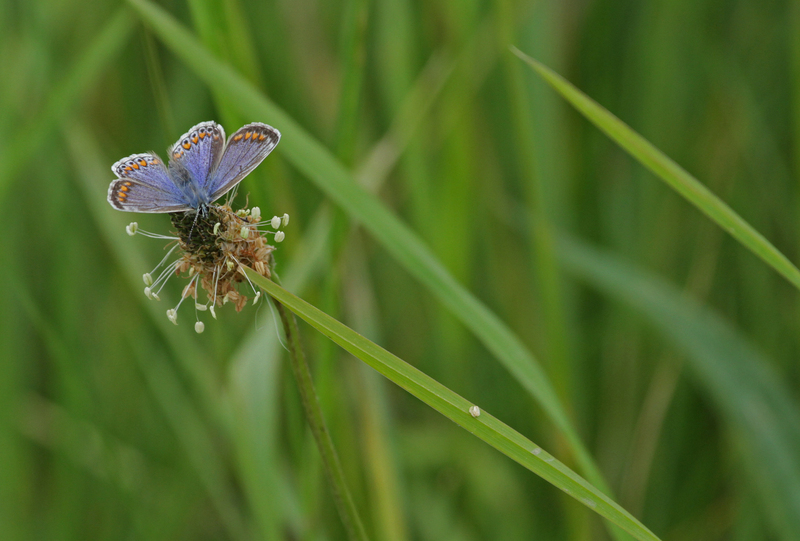 But on my sojourn over to Wicken Fen a couple of weeks ago there were lots of them. ‘Lots‘ is a relative term because cuckoos are becoming increasingly scarce, their conservation status is red due to recent declines in the breeding population and in 2000 there were 9.6-19000 breeding pairs in the UK. 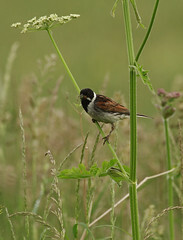 But on this trip we heard and saw at least 5 and possibly several more. 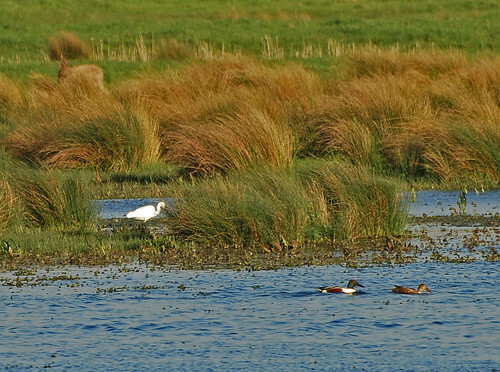 I really like this picture because of the colours of the reeds and the water in the evening sunshine, but also because it contains three interesting species. Apart from rabbits, any wild mammal is exciting to see in this country, so the roe deer was a pleasing encounter. The little egret (Egretta garzetta, Dansk: silkehejre) is a member of the heron family which is now resident in the UK, presumably as a result of climate change. I associate them with warmer places because that’s where I saw them before 2000, but nowadays they’re not particularly uncommon here. And in the forefround are two shoveler (Anas clypeata, Dansk: skeand) which are migrant visitors to the UK, but this pair obviously liked it enough to linger and are still here in the middle of May, long after they would normally have left. The cuckoo is an incredible bird and until very recently it was poorly understood. Last year the British Trust for Ornithology (BTO) managed to tag five male cuckoos with tiny satellite tracking devices and found out that they headed to the tropical sub-Saharan rainforests of Cameroon and the Democratic Republic of Congo. 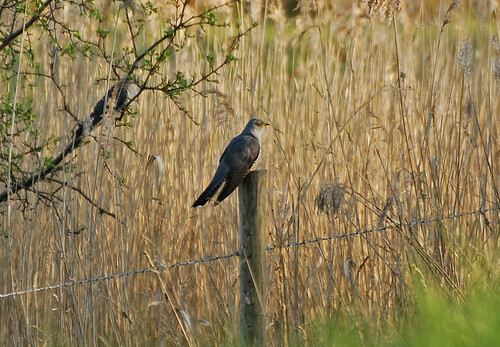 The cuckoo arrives back in England from Africa in late March or April and departs in July or August. It leaves earlier than other species because its parasitic breeding strategy removes the need for chick rearing. That means the cuckoo spends a minimum of 8 months a year in Africa so to call it a British bird is, I suppose, less than accurate, even though it breeds here. The tagged birds were all fitted with solar powered devices which transmit location data once every 48hr. The tracking data revealed that all five birds headed south over France and across the Mediterranean before heading down across Africa to Cameroon and DRC. All five made it. 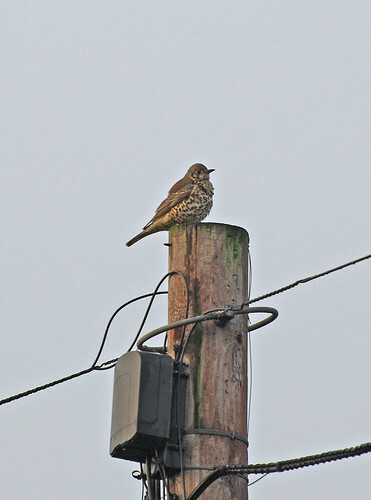 One of the birds died in Cameroon and two more died on the way back, but two of the five made it back to East Anglia this year. I believe the BTO plan to tag more birds including females and I’m very keen to see the results of that experiment. My Dad remembers a similar rhyme he used to sing when he was a kid in the 1940’s which was essentially the same but with some local Northamptonshire words substituted in. 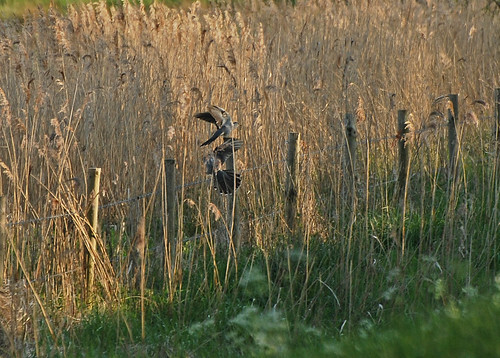 I’m not quite sure what these two were doing but they were acting as a pair, and every minute or two one of them would dive off into the adjacent reedbeds to return a minute or so later. 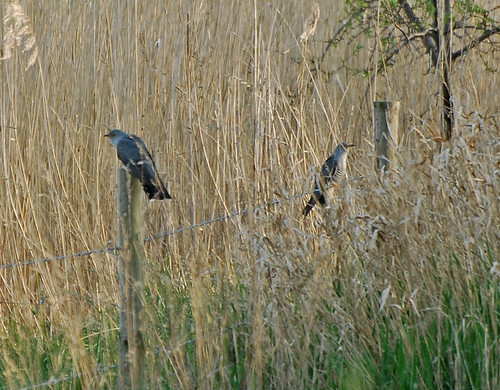 As I mentioned above, cuckoos are parasites and they could have been looking for nests to parasitise. There breeding strategy is unique, at least as far as I know. They lay their eggs in the nests of one of three other small songbird species: the reed warbler, the meadow pippit and the dunnock. All of these are the size of a sparrow (ish) so are much smaller than the cuckoo which is dove-sized, which I guess guarantees that the cuckoo chick will be much bigger than its ‘siblings’ and it won’t be threatened. The cuckoo chick then ejects the other chicks from the nest to die and the parents assume it is one of their own and feed it until it fledges. I’ve seen film of a cuckoo chick turfing out the other chicks and it’s a remarkable process, and not particularly pleasant to watch! 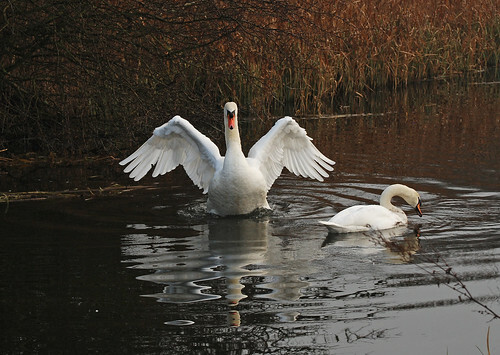 Despite their unsavoury procreation habits they are spectacular and charismatic birds and I hope the BTO research can find ways to guarantee their continued return here to brighten up the Spring and Summer. 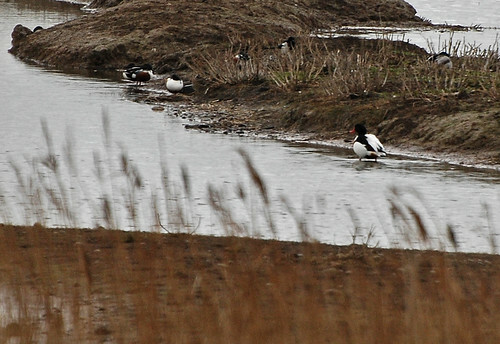 My meanderings around Suffolk in February inevitably led me to RSPB Minsmere. 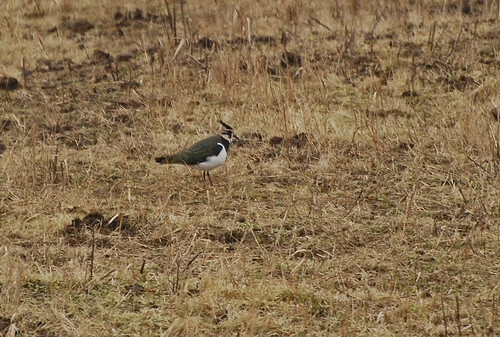 I’d heard there were bittern (Botaurus stellaris, Dansk: rørdrum), which I’ve never seen before, and smew (Mergellus albellus, Dansk: lille skallesluger) which I’ve also never seen, in residence there. Indeed, theere had been an influx of bittern from Holland due to the fierce winter weather there and numbers were up, so I felt a little twitching was in order. 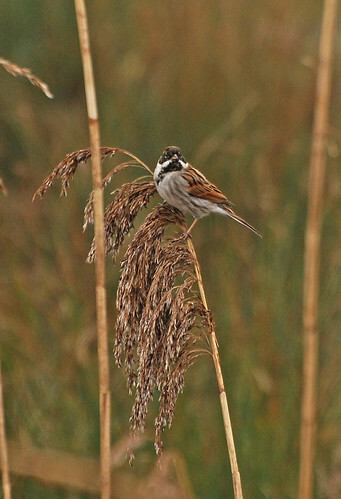 For those of you unfamiliar with the geography, Minsmere is characterised by woodland on the inland side to the north and east with a network of reedbeds and lakes behind a sand and shingle bank running along the coast. 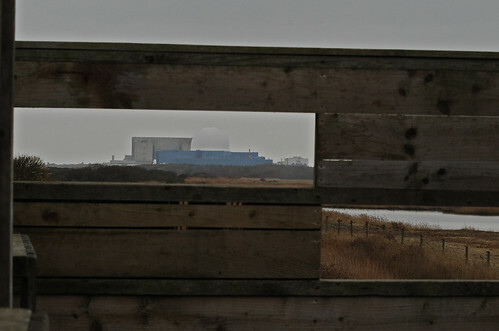 It lies between Dunwich Heath and the Coastguard Cottages to the north, and Sizewell to the south. 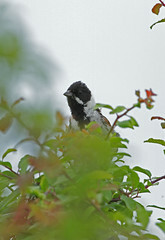 It is a haven for numerous species of bird and my friend told me that on a morning trip there with a dawn start he spotted over 100 species of birds by lunchtime. And I reckon that’s an impressive tally. Many mammals also live and visit here including red deer, fox and otter. As it is an RSPB reserve there are hides for observing the wildlife and as I set off along the bank which forms the sea defences to find one various gulls and great crested grebes (Podiceps cristatus, Dansk: toppet lappedykker) were on the sea. I paused to watch a marsh harrier (Circus aeruginosus, Dansk: rørhøg) quartering the reedbeds, and then headed on to an open hide where I installed myself to see what was in residence. All of these ducks are resident or nigrant breeders and winter visitors and where I am I only see them in winter. According to the BTO the teal is unusual in that it has no other names in the UK, which is an interesting little factlet which obviously needs to be challenged. 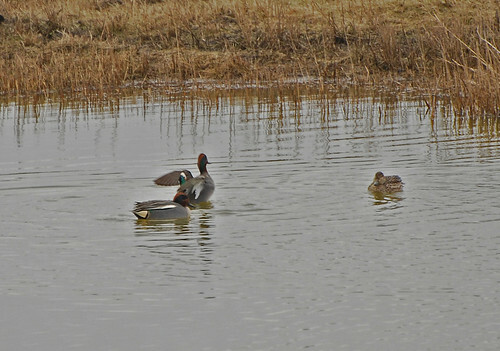 If anyone knows of a local name for the teal please let me know. Another amusing piece of nomenclature is the shoveler, so named presumably for its shovel like beak and in Danish is known as the ‘skeand‘, which translates into English as the ‘spoon duck’. It uses it’s magnificent beak to filter small molluscs and crustaceans from the beds of shallow water by sweeping it across the surface and sifting the food from the disturbed sediment. Alas, most of the birds were just too far away for my 300mm lens, but I plan to upgrade my optics this year so next time I post from Minsmere I’ll hopefully have lots of high quality close ups too. Around 10 years ago I used to do voluntary work at Wicken Fen which lies in the flat emptiness between Cambridge and Ely. 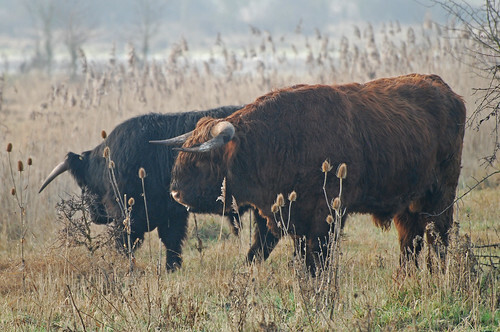 Wicken Fen is one of the last and the largest piece of remaining fenland in East Anglia and is home to a plethora of wildlife. It’s owned and managed by the National Trust in such a way that diverse habitats favouring different species are established and maintained. When I worked there we were engaged in various activities such as repairing boardwalks, fences and hides, scrub clearance, which was a good activity for freezing winter days because it involved a huge fire to burn the felled scrub, but my favourite job was building raised ponds with wheelchair access so disabled children could safely do some pond dipping. Which is an activity that everyone should be able to do, child or not. All you need is a net, a jar, a magnifying glass and a pond and a sunny day is turned into a fantastic voyage of biological discovery. 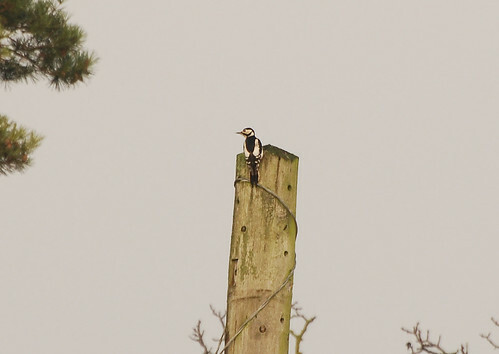 Great spotted woodpeckers make a characteristic drumming sound by doing what their name suggests and it is the frequency of the drumming, of around 40 beats per second, which generates the resonant sound. Anatomical examination of their skulls has revealed the presence of built in shock absorbers which prevent them damaging their brains when they drum. They feed on tree seeds such as acorns and insects which they dig out from under the bark of trees and they can also take birds eggs and chicks which they have been known to steal from birdboxes by drilling holes through the walls and plucking them out. 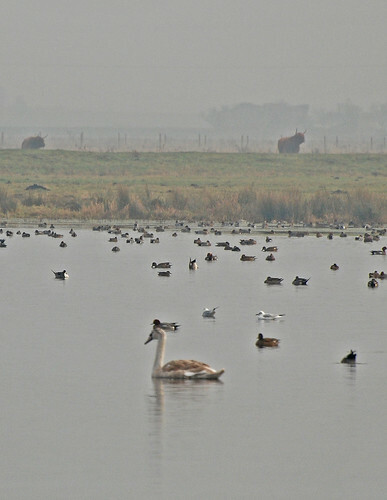 This lake was home to hundreds of ducks – we estimated around 800 from 5 species that we could see… as well as coot and mute swan. Watched over by the longhorns. 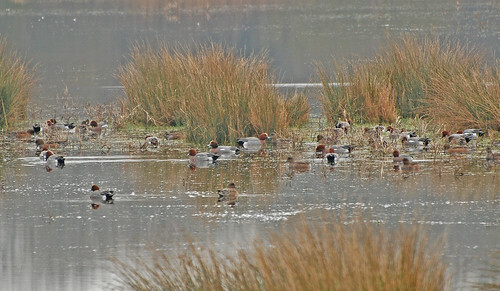 Wigeon. Lots of them! I counted around 60 in this group. 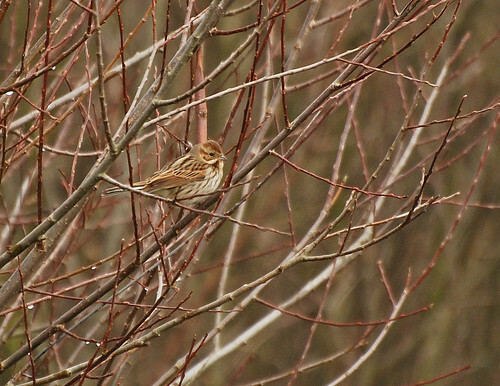 We saw 44 species of birds that we could identify on our way around Upware and the Fen. And as well as all the birds Wicken is home to a phenomenal diversity of insects, large mammals including roe deer and otter, small mammals including shrews, voles, mice and the predators that hunt them, and reptiles including lizards which can be seen basking in the sun on the boardwalks and fenceposts early on summer mornings. Now I’ve been back and rediscovered the Fen I’ll make sure I get back later in the year and post about the changing wildlife in what is a unique collection of ecosystems.